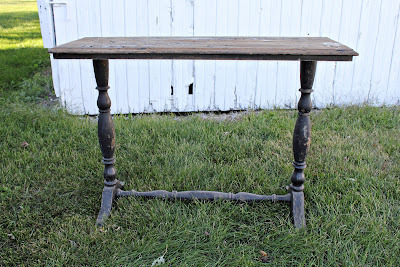 I found this fabulous table at a flea market a few months ago and finally have finished it up! I am so excited with the finished result especially since I experimented with a few new techniques for the first time. 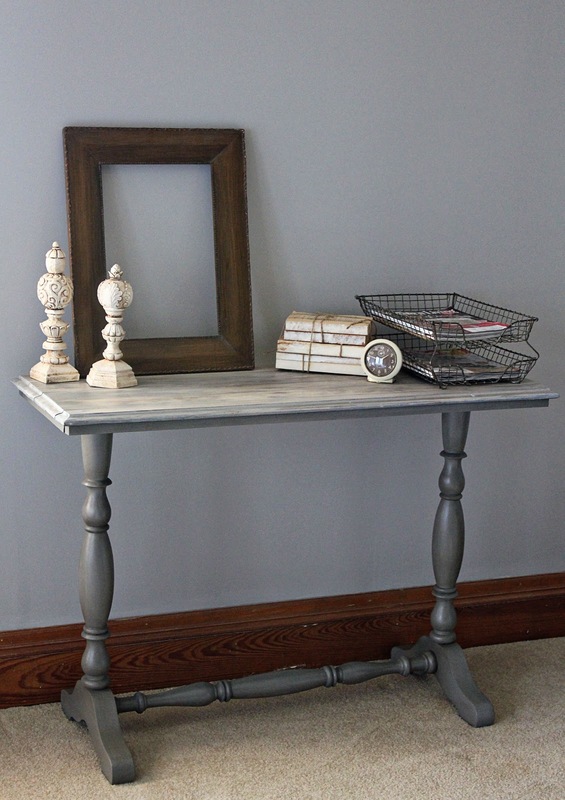 The original black paint was very chippy which usually I love, but I imagined this table grey. I decided to strip the base of the table to remove some of the paint so I could get a smooth finish. Afterward, I sanded it using 220 sandpaper. First, I painted two coats of 1-2-3 Zinsser Primer. After the primer dried, I painted one coat of a lighter grey and then used a dark brown glaze to finish it. 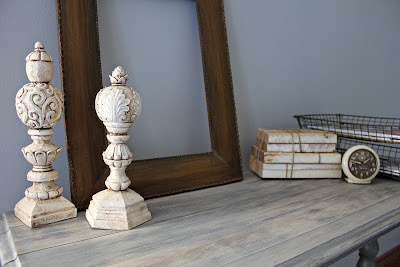 The glaze I used is Valspar Translucent Mixing Glaze found at Lowes mixed with Raw Umber craft paint. I worked in small sections applying the glaze with a brush. After wiping the majority of the glaze off with a rag, I used a dry brush to soften it. I love how it accented all of the details. I was planning to stain the top so I used the palm sander to remove the paint. 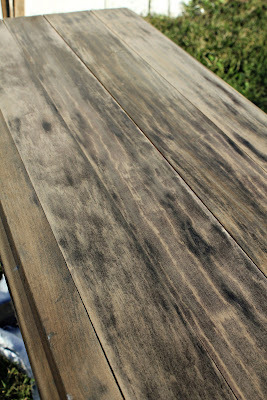 Although, as I began sanding I realized I liked the variation between the light wood and the black paint. I came up with the great idea to try a white/grey wash to finish the look. 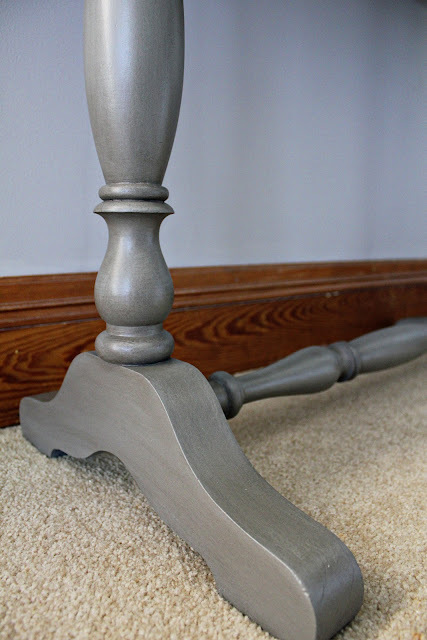 I mixed a light grey paint with the Valspar Glaze using a 1:4 ratio. I brushed the glaze on and then took a dry brush to remove some of the paint and give it texture. The wood began to reveal itself even more when the mixture dried. It really exposed a lot of it's imperfections which I love! I sealed the whole table with two coats of Minwax Polyurethane Spray in Clear Satin finish. After using the palm sander. Hope this inspires you to try some different techniques! I really enjoyed trying something new. Hope you have a wonderful weekend. It's beautiful! I like that you let the piece speak to you, and went with it! 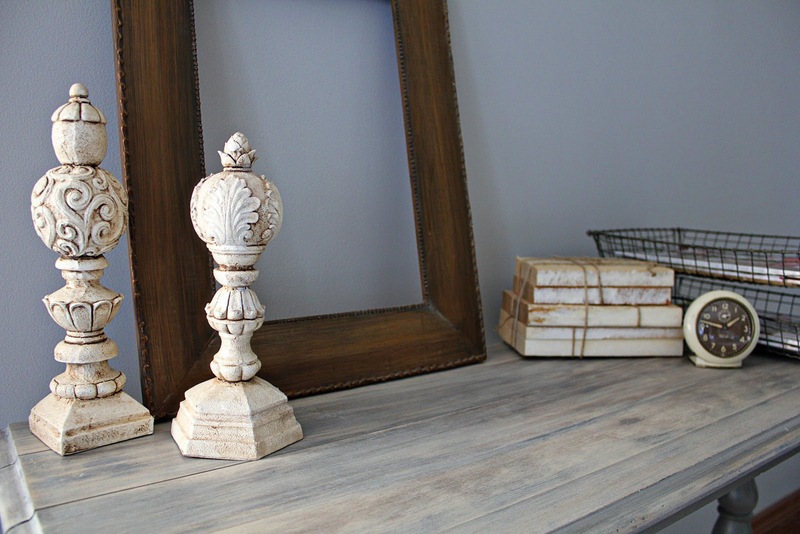 It's the perfect combination of rustic and refined. 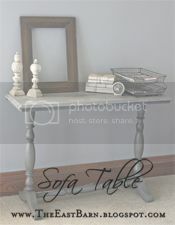 This is a really nice looking sofa table! Welcome to blogging. Would love to have you join in on my newbie party that I host every Monday. I started today though due to other commitments coming up next week on my blog. 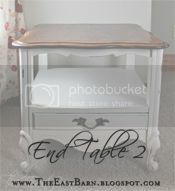 love the table, beautiful finish! would love to feature it if that would be ok with you please let me know. I really like the technique you used for the top. Very nice! I am a new follower. That's a beautiful finish, you did an excellent job. I'm you newest follower. Please drop by whenever you have a chance. 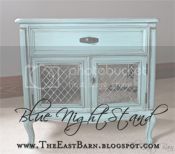 I love this color -I actually have a sofa table that looks like this from a yard sale too :-) I don't use it because it isn't pretty BUT seeing yours in grey and glazed to bring out the beauty -you have me thinking -okay I can do this -I'll let you know if I was successful -I'm going to try the grey paint and primer in one -I hope that works as well. Your experiment turned out beautifully! The grey color you used looks great along with the glaze. I only wish I could do something like this. Love the grey color! Very nicely done. Becoming a follower to keep up on all your great ideas. I love the table and the color is amazing! I am so obsessed with grey right now! I Would love it if you would share this at my very first linky party tomorrow, Totally Inspired Tuesdays at The Inspired Collection! It is such a great project! What a lovely table. I am so jealous, I want one. You did a great job, the finish and color are perfect! I am your newest follower and would love for you to visit my blog and follow me if you woud like. What fun! I love that you tried different stuff and it came out this well. If I tried stuff like that...It wouldn't be pretty. love it!!! the finish is amazing!!! where are you located? 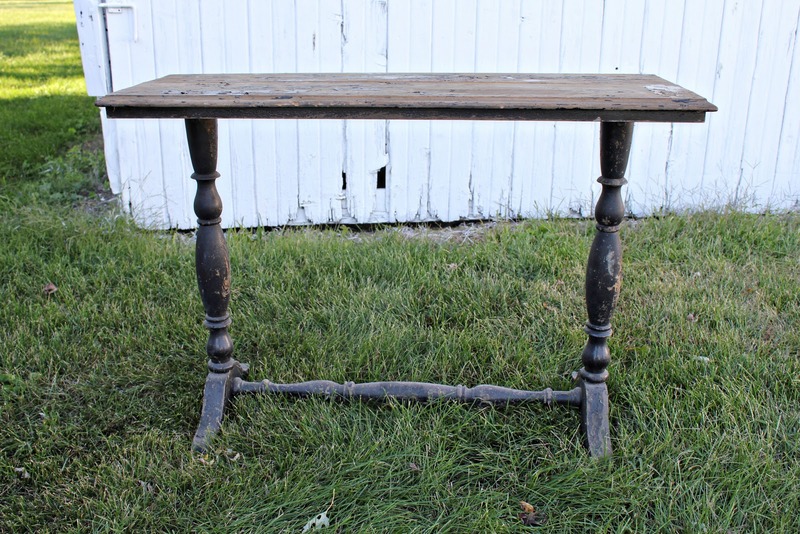 i seriously have a friend looking for a table like this! Awesome job! I love how you finished the top!